This is the book I used in 2013 to lose ten pounds and increase my fitness level. I checked out a copy from the library and liked it so much, I bought my own copy, which I could write in. It’s now been two years since my stroke. I did not have the stroke because of poor fitness, but after having the stroke, I was much less active, and I ended up with pretty poor fitness. What I like about the program presented here is that they gradually increase the amount of work you do. The first week’s workout has you do 2 to 4 brisk walks for 20 to 30 minutes. You will also do 3 Speed Walks. The first week, the Speed Walks just involve a 2-minute warm-up at an easy pace, followed by 4 minutes at a brisk pace and 1 minute at a fast pace 4 times. You finish up with 3 minutes of easy walking. As the weeks progress, the amount of time you spend walking at a “fast” pace increases. Since they use descriptions of “easy,” “brisk,” and “fast,” anyone can adapt this program to their own level. About halfway through the program, they add in Challenge Walks, just walking as fast as you can for 15 minutes. They also have you time your walking at the start and at the end of 12 weeks. They have tips along the way to help your walking form, and inspirational stories from their test group. I think this is a great program for people at any fitness level. You can adapt what it means to do “easy,” “brisk,” and “fast” walking to whatever you need it to be. Harmony Books, New York, 2006. 313 pages. I’ve been meaning to review this book for a very long time. I first read it in 2007, some time when my life was in upheaval, with the move to Virginia from Germany and taking online classes to get my MLIS degree. I wasn’t getting many books reviewed at that time. But this is a life-changing and life-affirming book. I reread it in 2009 in order to get that good advice again and also to review it. Since it is my own copy, not a library book with a due date, I still didn’t get around to reviewing it. So here goes! This may not be as long a review as this book deserves, but I do want to bring it to people’s attention. You can get a taste of the wisdom in this book by reading the many passages from it that I posted on my Sonderquotes blog. The core concept behind Christel Nani’s teachings in Sacred Choices is that we all have tribal beliefs we aren’t even aware of. They are beliefs, but we think they are the facts of life, the way the world works. They have been handed down to us from our tribe. Sometimes these beliefs are good for us, but often they are not. “At first, you aren’t even aware that you are making choices at all. You are simply following the tribal way, even when you believe you are thinking for yourself and doing what is best for you. Consider the student who pursues a college degree in an area that offers a safe career path but does not excite her, or the man who gets married despite his doubts because everyone tells him how lucky he is to have found someone so nice. Or perhaps you are justifying staying in a career you no longer enjoy because the pay is good, or a draining relationship because you’ve been together for a long time. These are all examples of lives driven by limiting beliefs, not the heart’s desire. Unfortunately and paradoxically, some tribal rules are contrary to your authentic nature and needs. Even a life that looks successful on the outside can leave you wondering if this is as good as it gets, because you recognize on a deep level that something is missing. And it is. In this book, Christel Nani shows you how to uncover your tribal beliefs so you can examine whether they are good for you or not. She doesn’t ask you to throw them out willy-nilly. But isn’t it worth looking at the beliefs you live by? She also helps you rewrite limiting beliefs into beliefs that will serve you better. A Perigee Book (Penguin), 2008. 258 pages. I was so impressed by the authors’ earlier book, How We Choose to Be Happy, I ordered this one from Amazon rather than waiting for the library to purchase it. Like the book on happiness, the authors interview healthy individuals and show nine choices those people have made that led to their good health. They also tie this information in with medical studies that show the physical benefits of these concepts. The book is full of these healthy people’s stories, illustrating the choices that lead to health. 1. Intention: Change the pathways of your brain with your thoughts. 3. Identification: Envision your joys and passions and tell vibrant stories about them. 4. Centrality: Do the things you love to alter your biochemistry. 5. Recasting: Convert the sadness, fear, anger, and despair of trauma and illness into meaning, opportunity, and action. 6. Options: Create hope and resilience by uncovering hidden possibilities. 7. Appreciation: Value your life and your body, and express appreciation to others. 8. Giving: Build a thriving Marketplace of Giving. 9. Truth: Tell the truth to your body, yourself, and others. With a promise like that, these ideas are definitely worth listening to. Hay House, Carlsbad, California, 1991. 239 pages. Recently I’ve discovered Louise Hay’s books, and I’m finding them uplifting and tremendously encouraging. I have to admit that I’m not sure I’m convinced that it’s really so simple. I’m not sure you can really heal your body’s illnesses, aches and pains with affirmations and changing your thoughts. However, it certainly doesn’t do any harm! And I do think that paying attention to my beliefs and speaking life-affirming, loving statements to myself has actually helped me be healthier. It certainly puts me in a better mood, and that’s worth so much all by itself. “I am not a healer. I do not heal anyone. I think of myself as a stepping stone on a pathway of self-discovery. I create a space where people can learn how incredibly wonderful they are by teaching them to love themselves. That’s all I do. I’m a person who supports people. I help people take charge of their lives. I help them discover their own power and inner wisdom and strengths. I help them get the blocks and the barriers out of the way, so they can love themselves no matter what circumstances they happen to be going through. This doesn’t mean that we will never have problems, but it is how we react to the problem that makes a tremendous difference. Now, as a Christian, I was taught to be leery of anything that sounds so New Age as this. However, Louise’s message is about changing to positive self-talk. And almost all of her affirmations fit with what I believe about God. (She may call Him “the Universe,” but I do believe that He is watching over me and loves me.) If you don’t like using her affirmations, you can actually substitute similar Scripture verses or Christian songs — The idea is to work on your underlying beliefs, believing that good things are going to happen and that I am loved and valuable. Again, maybe it seems simplistic, but even if it doesn’t improve your health as she claims, filling your mind with positive truths about the world certainly will improve your outlook. Hay House, 2004. First published in 1984. 251 pages. I picked up this book from the library’s New Books shelf with some embarrassment. I tried to carry it to my desk and check it out unobtrusively. After all, that New Age mumbo-jumbo is ridiculous nonsense, right? Or worse yet, with demonic roots? What will people think if they see me reading it? I had some of the same misgivings when I thought about reviewing this book. But, bottom line, there are some tremendously helpful ideas in this book. I’m definitely not the least bit worried that there might be an evil source. 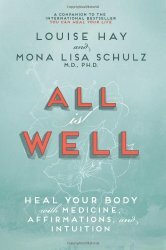 Perhaps the book doesn’t seem “scientific,” and perhaps I’m not completely convinced that affirmations can heal all your diseases, but I am sure that I’ve gleaned some good from this book, and perhaps others can do the same. 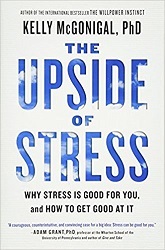 The basic premise of this book is similar to teaching I found in Christel Nani’s writings: Your deep-seated beliefs, beliefs so ingrained you think they are fact, can dramatically affect your body and your health. You can heal your body by changing your thinking. Now, I’m not sure how much I believe that we “choose” the things that happen to us. However, I do find some things interesting. When she describes the beliefs that can contribute to ailments I have had, they do ring true. For example, soon after my husband left me, I had major gynelogical troubles. Coincidence? Maybe. But I’m sure it didn’t hurt me to examine and confront my beliefs about how only bad people get divorced. This was from Christel Nani’s writings, but the same ideas are reflected here. Louise Hay recommends the affirmation, “I rejoice in my femaleness. I love being a woman. I love my body.” Even if this does not to any good, it certainly doesn’t do any harm! And to me, those words even feel healing. However, for the past few years, also about the time my husband left me, my headaches have gotten dramatically better, and I rarely get a bad one. Now, I’d been attributing that to a change in preventative medication. However, in the past I’d experimented with preventative medication after preventative medication, and nothing ever worked. Currently, I’ve used three different ones, and they have all worked beautifully. It does make sense to suspect that something further might be going on. If Louise Hay is right, and migraines are created by perfectionism, then I’m attributing my cure to Flylady. (http://www.flylady.org/) Her messages about Finally Loving Yourself and “You are not behind; you do not need to catch up,” are truly healing me from perfectionism. Maybe it’s no coincidence that my headaches left at about the same time. I do realize that it would be dangerous to start applying these ideas to other people and their illnesses! That’s all we need — diagnosing other people’s beliefs that are making them sick! But for self-analysis, this book has plenty of food for thought. Now, you may not agree that “Every thought we think is creating our future.” However, even if you don’t agree that it goes so far, surely you can only do yourself good by doing as she recommends and releasing resentment and self-criticism. I’m facing a divorce that will most likely be finalized in the next few months. Her teachings are helping me to purpose to let go of anger and resentment about it, to choose to forgive. And I’ve got to start my new life not looking at myself as damaged goods. This completely fits with Christian teaching. Forgiveness is key and God forgives us. C. S. Lewis has stated that “Joy is the hallmark of the Christian.” If Louise Hay is right, Joy is also a key to good health. How do you examine your beliefs about yourself and about life? How do you change thinking that isn’t good for you? It does take practice. This book is full of affirmations: New, healing messages you can fill your mind with. Whether all the author’s claims are true or not, I certainly don’t think that telling yourself a message like that can do you anything but good.